Consumers today are always looking to get the most bang for their buck, even when buying a luxury vehicle. 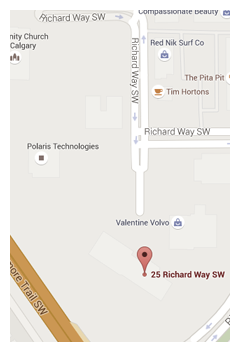 Moreover, buyers have different needs and are looking for different things for their vehicle. That said, it’s not easy to find a vehicle that offers everything we could ever need in one package, especially when it comes to how the vehicle drives, how comfortable it is, how efficient it is, or how sporty it is. That is, unless you buy a new Audi vehicle that is equipped with Audi Drive Select. If Audi Drive Select exists, it’s because consumers are not willing to settle on how their vehicle behaves on the road. They want to be able to change it, play with it, and adjust it to where and how they are driving. Sometimes, two people within a household can have different tastes or require different things from one vehicle. Audi Drive Select, once again, makes that happen. Audi Drive Select offers different driving modes that include Comfort, Dynamic, Individual, Auto and Efficiency. The names of the various driving modes are simple enough and give a pretty clear indication of what they do. Dynamic will tighten up your Audi and make it handle better. You will also feel like there is more power coming from the engine. Efficiency mode will be completely different and you will feel like you have less power, but you will also notice that your fuel consumption rating is improving. Comfort mode makes driving on rough roads a lot more enjoyable, and then there are the Auto and Individual modes. To understand these two, we have to understand how Audi Drive Select works. The system is connected to your vehicle’s main mechanical components like the transmission, the engine, the steering wheel, the suspension and the accelerator. The various modes modify how each of these components function and operate. So, in Comfort mode, the suspension and steering are a lot lighter, but in Dynamic mode everything is stiffer. In Efficiency mode, the engine is programmed to deliver power in a fuel-efficient way, unlike in Dynamic mode where it is programmed to deliver the best performance it can. 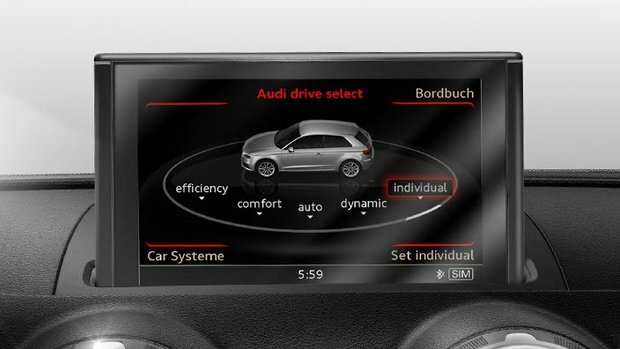 These features will vary from one model to the next, of course, but the way Audi Drive Select works does not. Ultimately, it changes how your car behaves on the road to suit your tests. Back to the Individual and Auto modes, well the first allows you to adjust the individual components to perform to your liking while Auto mode will detect how you are driving and adjust everything for you. 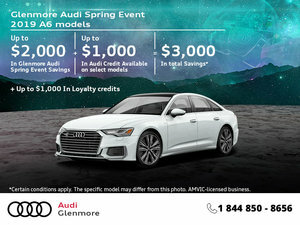 To learn more about how Audi Drive Select works and its benefits, contact us today at Glenmore Audi!